This week’s music news: Dancing on the ceiling at Christmas, watching Gogglebox. It’s not that time of the week already, is it? Apparently it is: here is our round-up of the week’s ‘major’ music news, delivered in nice bitesize chunks for maximum enjoyment. What is the nation’s favourite Christmas song? It’s a question nearly as old as time itself, but we finally have an answer: Have a Cheeky Christmas by The Cheeky Girls. Just kidding! It’s actually Fairytale of New York by the Pogues’ and Kirsty McColl, according to a new poll. All I Want for Christmas by Mariah Carey came 2nd, while Slade’s Merry Xmas Everybody was 3rd. Seriously, though, give that Cheeky Girls song a spin this Christmas. Your family will love it. The BBC have released their Sound of 2015 shortlist, which brings together some of the nation’s best young artists. The ultimate goal is to pick out the one who’ll have the most impact on the nation over the next year or so, which sounds like an impossible task. However, the Sound of… has been eerily prophetic in recent years. You can barely go 5 minutes without hearing 2014’s winner Sam Smith, while previous winners Jessie J, Ellie Goulding and Adele have been equally ubiquitous. So, who will be dominating our ears next year? The shortlist includes spoken word artist George the Poet, grunge rockers Slaves and soul singer Kwabs. An early favourite, however, is James Bay, who has been compared to George Ezra (among others); check him out below. 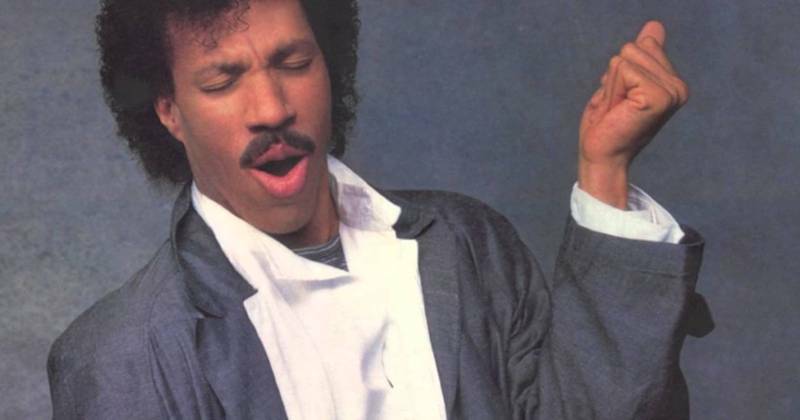 We can’t think of many better ways to spend a Sunday afternoon than in company of Lionel Richie’s smooth tones, so Glastonbury-goers are in for a real treat next year. Lionel will be playing the same slot as this year’s surprise favourite Dolly Parton and is almost bound to be a hit. Unfortunately, there will be no dancing on the ceiling for those without a ticket yet: all 150,000 sold out in October. Mind you, there won’t be any dancing on the ceiling for the people with a ticket either because…erm, there isn’t one. Poor Take That. They’re already dealing with the sad loss of Jason Orange, the funniest-named member of the band. And now, they have to contend with Robbie Williams – the most popular member of the band – releasing an album on the same day as their new effort. Fortunately, Robbie has decided to release the appropriately-titled Under The Radar: Volume I on a whim with little to no promotion. It came out yesterday, in case you missed it! You’d think Noel Gallagher would get bothered everywhere he goes for writing some truly cracking tunes beloved by millions. But it turns out he actually gets more attention for sitting on his bum watching TV. Gallagher revealed that he was surrounded by a crowd of kids on a recent trip to eat a curry due to his recent appearance on Gogglebox. Yes, there genuinely is a group of people who know Noel Gallagher better for 15 or so minutes of TV than over 20 years of brilliant music. What is the world coming to? That’s it for this week’s news. Check back next week for more fun and frolics at the expense of our favourite musicians. In the meantime, round up your old albums and make a bit of cash selling your unwanted CDs with musicMagpie!